Being happy in your bed is essential to getting a good night’s sleep. And getting a good night’s sleep, at least semi-regularly, is essential to being a contented, productive person. Of course, the bedding you choose impacts on a lot more than just how well-rested you feel at work; it’s also a key part of what defines the style of your bedroom’s interior design. 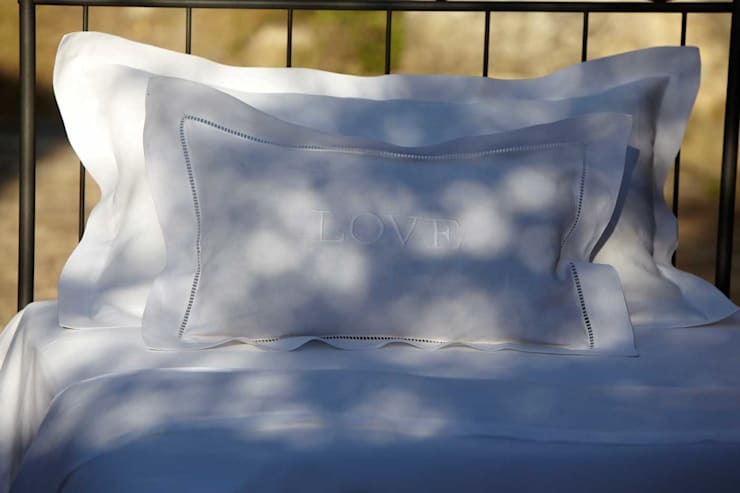 Subtle and classic or bright and playful, the textiles you pick out for your bed say a lot about who you are and what you like. 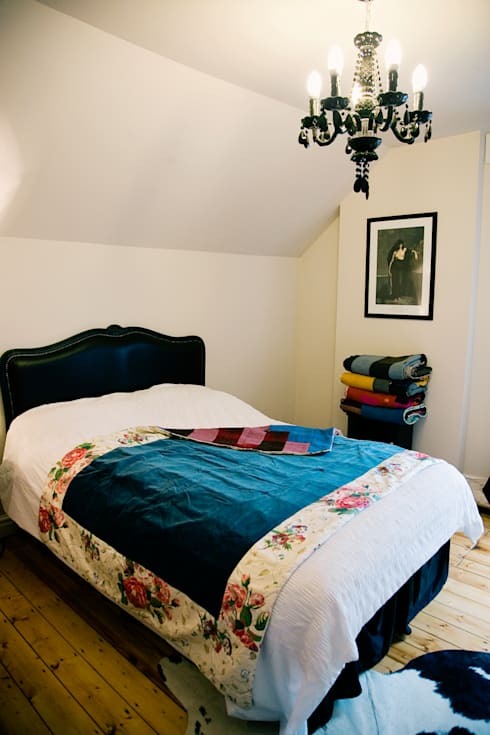 If you’re trying to add the finishing touches to your bedroom and you’re getting a little bit stuck, check out the images below for some ideas on what direction to take. This pretty, understated set harnesses the surprising power of neutral colours and subtle embellishments. 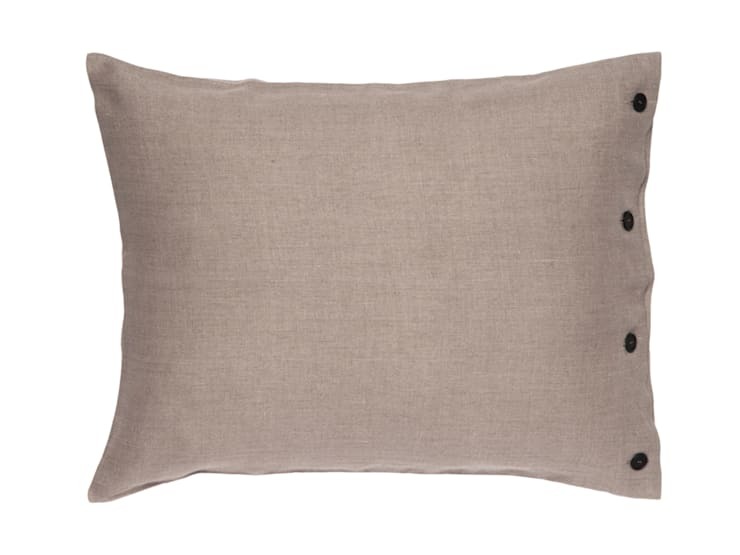 Dove grey is a safe choice for almost any bedroom and style of decor, and has practical advantages as well. For example unlike with white bedding, the go-to pick for most people looking for a non-abrasive colour option, you never have to worry about this set going grey in the wash. Because, well, it already is. Up close we can see how the buttons add just the right level of adornment to this design. They’re simple, cute, and timeless. 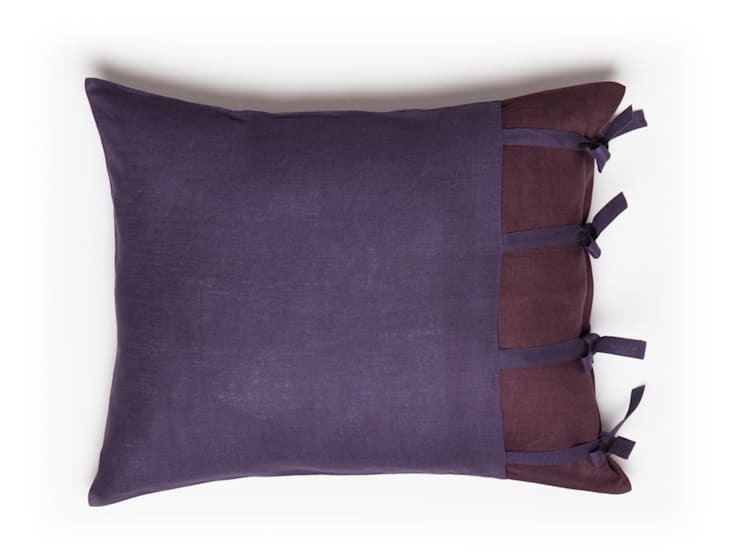 And from the same designer, this pillowcase demonstrates another way that exploring alternatives to traditional fastenings can add character to a simple piece. 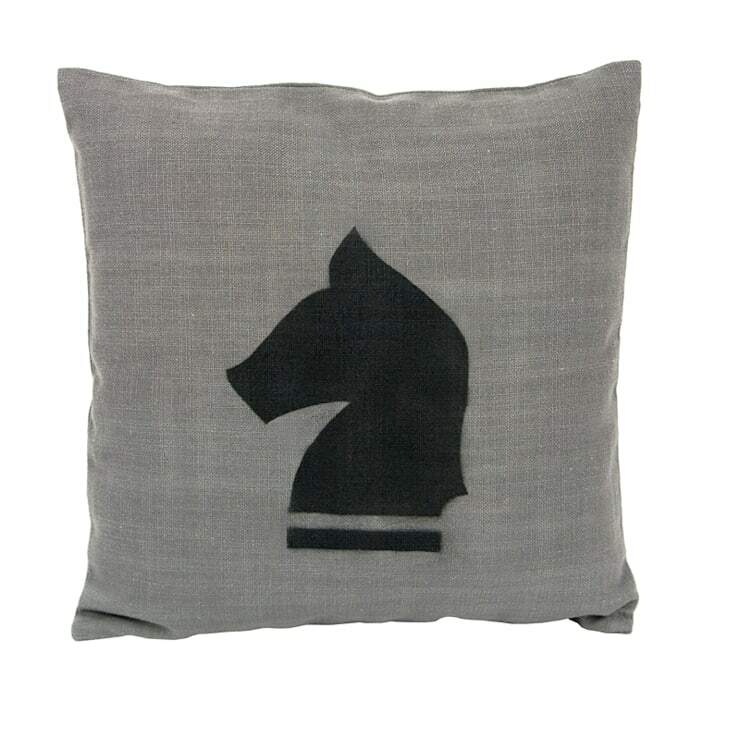 This sweet and unusual chess piece pillowcase will bring a light-hearted charm to a bedroom without going too frivolous. Crafting enthusiasts take note – this strong silhouette would be easy to recreate yourself with a stencil. Sometimes the simplest option is the most appealing. White bedding suits every room and creates a crisp and fresh look that other colours just can’t. It can be a tad dull, however – especially if it’s completely plain. The addition of just a little texture, as seen here, makes all the difference. This is another example of how a bit of texture can go a long way to achieving a look that’s slightly out of the ordinary. 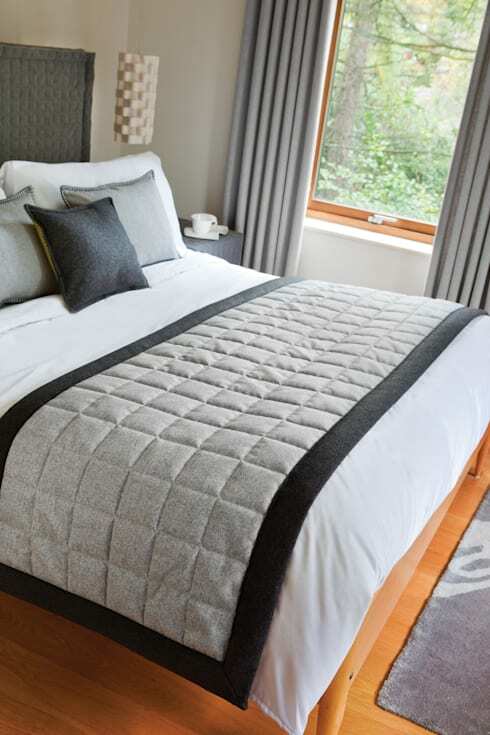 Quilted fabrics have been historically associated with comfort for many good reasons. 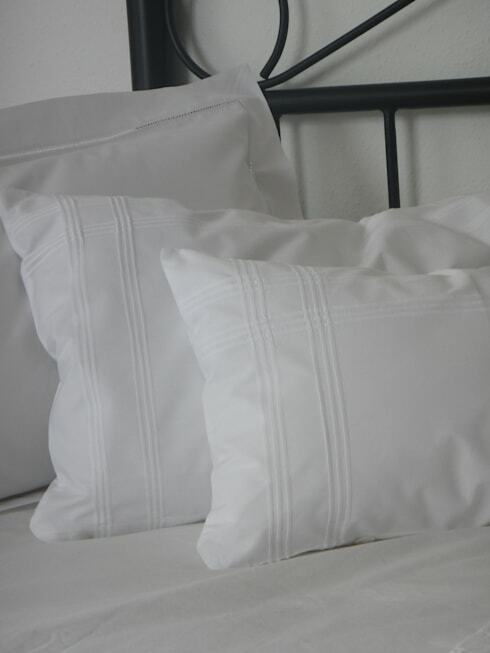 They’re comfortable, soft and extra warm, and they bring a touch of home to even hotel rooms and impersonal spaces. The throw shown here proves that a quilt can be modern; it doesn’t need to be all home-knitted patches and countryside kitsch. This bright and zesty set brings tropical brightness into this otherwise sedate room. Sleeping beneath this sunshine-filled duvet, it’s hard to imagine not waking up happy. 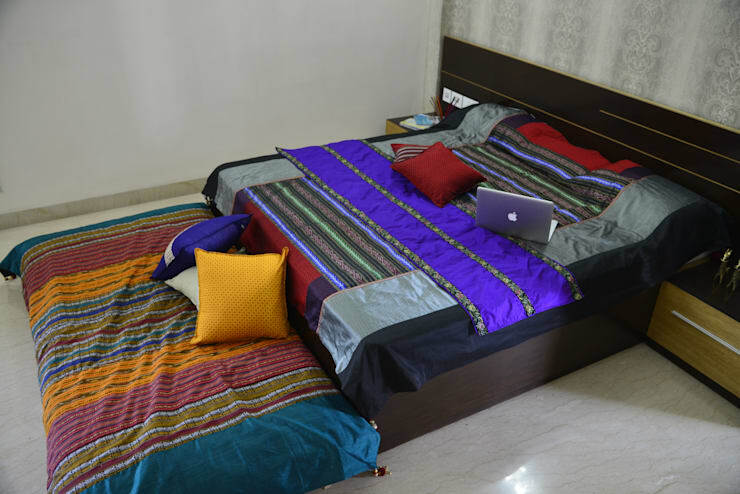 Adding a throw to your bed can change the whole feel of a space. In this case the throw in question is very traditional, with the big floral print that forms its border. This makes the room seem significantly more welcoming than it would if the bed had only white sheets. This summery, Asian-influenced set mixes clashing colours to great effect, resulting in a laid-back style that looks casually thrown together but in fact took plenty of careful planning. 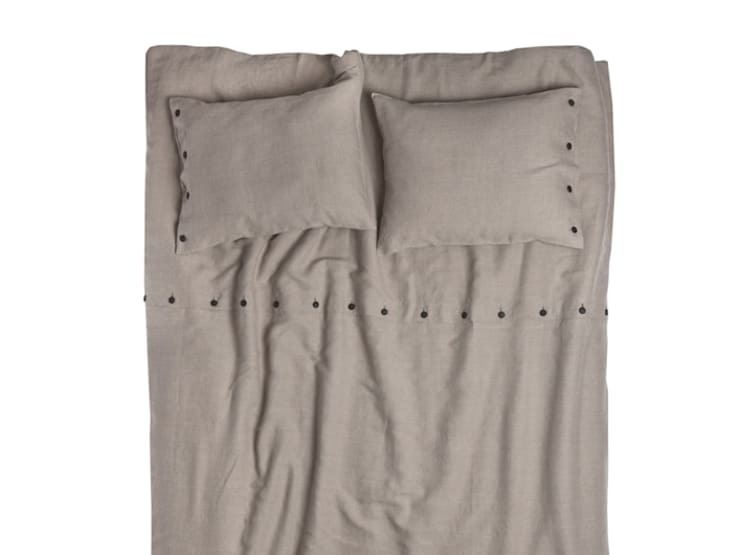 What is your favourite set of bedding like? What do you like about it?